Thinking Water Carters, Trailer Units, Slip-on Units, Diesel Caters & full Customs – Thinking Transportable – Thinking Quick Fill with everything at your hands, when and where you want it – Then think O.P.S. Wombats!!!!! O.P.S. Country Tanks presents it’s range of ‘Wombats’ – here you’ll find a set up that is ideal for the farm and business and when you require water & diesel on-site and up close. 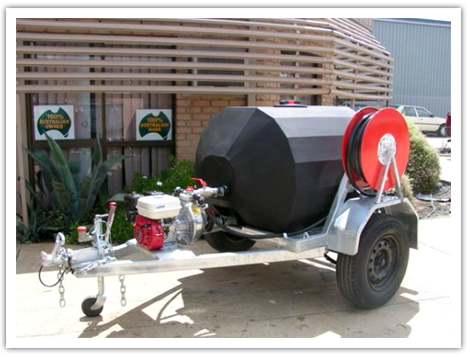 The Wombat Water Tank has a 900 Litre capacity and is available as a bare tank, slip on unit and a trailer unit – designed to meet your needs and provide you with the versatility you want, wherever you want it!